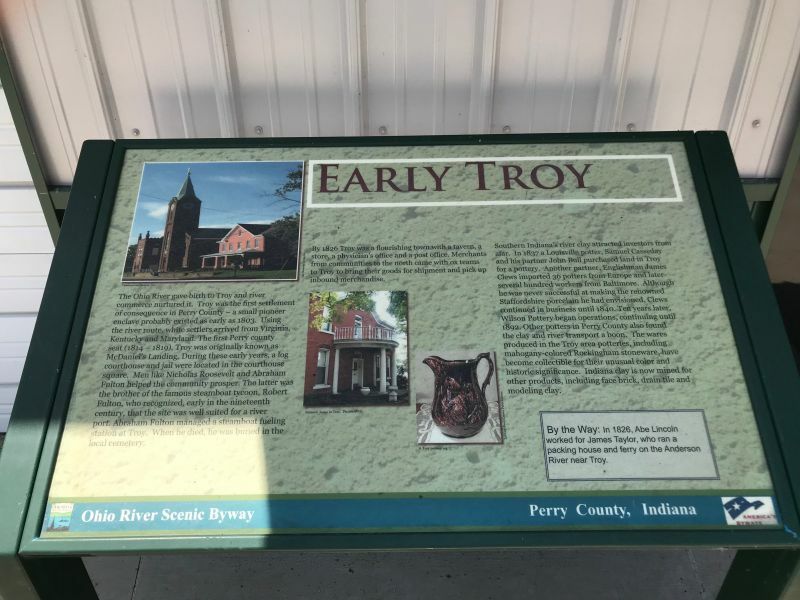 Troy, the second oldest town in the State of Indiana and first county seat of Perry County was an important shipping point on the Ohio River in the early nineteenth century. In 1804, the first authentic settlers from Virginia, Kentcky and Maryland landed at a port just above the lowlands where Anderson Creek flows into the Ohio River. This port later became known as Troy. The Town of Troy was first incorporated in 1837 for a period of 20 years. The first organization having lapsed, the town was reincorporated in 1859.